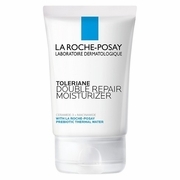 Daily oil free facial moisturizer to help restore healthy looking skin. 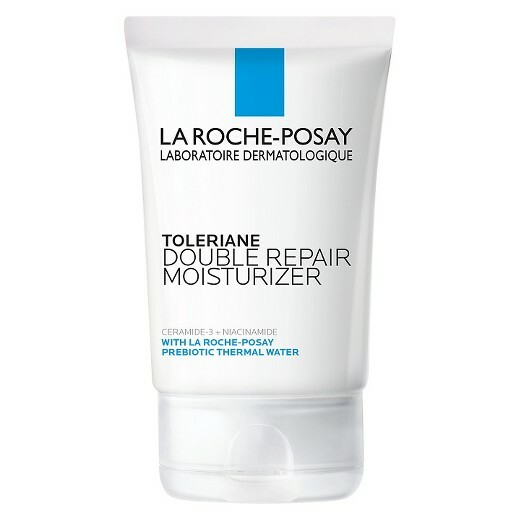 This Double Repair Moisturizer works in two ways: Replenishes moisture for up to 48-hour hydration and helps restore skin�s natural protective barrier. 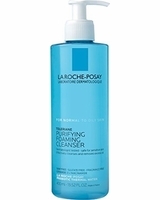 Ingredients: Water (La Roche-Posay Prebiotic Thermal Water), Glycerin, Dimethicone, Hydrogenated Polyisobutene, Niacinamide, Ammonium, Polyacryloyldimethyl Taurate, Myristyl Myristate, Stearic Acid, Ceramide Np, Potassium Cetyl Phosphate, Isobutane, Glyceryl Stearate Se, Sodium Hydroxide, Myristic Acid, Palmitic Acid, Capryloyl Glycine, Caprylyl Glycol, Xanthan Gum, T-Butyl Alcohol, Acrylonitrile, Methyl Methacrylate, Vinylidene Chloride Copolymer, Tocopherol.